Wedjinni a Bulgarian startup founded by Theodore Batzakas is hoping to become an internet head turner in the do it yourself wedding planning business. More and more wedding sites have gone the route of integrating wedding planning tools, however Batzakas says that Wedjinni is easier to use and at the same time more robust. With tools available from theknot.com and Martha Stewart’s OmniMedia, is their really room for something like Wedjinni? Check out our interview with Batzakas below and let us know your thoughts in the comments. 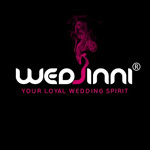 Wedjinni is wedding planning made simple. Actually,it is a web application that helps couples who are planning their wedding to keep everything organized in one place, in a modern fashion, using a cloud solution, without the hassle of messing with spreadsheets, notes, calendars and all that stuff that is necessary to keep everything on track. Wedjinni helps with simplifying budget management, invitations, reception management, gifts, todo lists and calendars. This covers most of the things couples have to organize when they plan their wedding. Moreover, wedjinni helps couples find the perfect vendor for specific needs, by using a neat service, called jinniQuest. jinniQuest is a built-in facility which hosts the accounts of professionals in the wedding industry, who are looking for wedding events in their range-of-service. Couples just enable the jinniQuest and ask for proposals for specific work that they need. Our jinni then communicates the need to the wedding pros and the couples get real proposals, directly, personalised for their event, from real, verified professionals. It is more direct than banners and advertising, it is more straightforward and just simply does the job. Most important, the couples are not getting any unsolicited messages because they enable jinniQuest by themselves when they need it. This is a win-win situation for both the couples and the pros. It’s quite simple. After creating an account in www.wedjinni.com, the user who might be the groom or the bride, starts building their expenses list, their invitations, their todo-lists etc. Every account is for two users, which means that the signed-up user may invite their significant other for free, assigning him/her their respective role and then they both work on the same event. The application allows them to import data if they have already used another application to manage it so far, or export their data to continue working on it on another app. If they need to get a quote for a specific service, they enable jinniQuest for this service and wait for professionals to answer by the deadline they want. Simple; Like rubbing a lamp. The founder and CEO of Imperatus Ltd, the company that’s behind wedjinni, is Theodore Batzakas. A Internet industry entrepreneur for the last 13 years. Theodore has founded a successful web developing firm in Greece in 2000 and in 2012 he founded Imperatus Ltd in neighbouring Bulgaria. He is involved in day to day operations mainly in engineering and infrastructure of the project and also with marketing wedjinni. Our company is based in the beautiful winter resort of Bansko, Bulgaria. Bulgaria is famous for its friendliness towards new business startups. Low labor cost and quick procedures without much bureaucracy for starting new businesses, in conjunction with a fair tax system helps entrepreneurs bring new ideas to life. Well, genies are attractive figures, they help people fulfill dreams, they make wishes come true and at some point we all wished to have one to rely for help. Also we like the arabian-derived way to spell genie, which is jinni because it looks exotic. So, with wedjinni, we have a jinni that specializes in weddings. This should make him an expert at it. What problem does Wedjinni solve? Wedjinni is helping couples do more with less effort, more fun and quicker and lets them focus on their wedding and not it’s planning. Also, being a cloud solution, wedjinni is always there and ready to help. We found a lamp! And guess what was inside…. Ok, well, in reality, we love what we do. We are trying to make our product better and better and eventually the best. So there is no secret sauce. Love and devotion. We are 100% bootstrapped. We don’t mind getting funded at some time in the future, but for the time being, we try to make decisions on what we can achieve within our own limits. We have completed our web application. We created an API for data interchange between applications. We built wedjinni’s website. Wetranslated our application to 9 languages. This is a serious amount of work. Our next milestone is squashing the last bugs alive and go for our first public release. Immediately after achieving this, we ‘ll be focusing 100% on the availability of the mobile versions of wedjinni. They will be released for iOS and Android in the second quarter of 2013 and will be free for all users that have an active account in wedjinni. When we decided to release wedjinni on the global market, we instantly got troubled with the extremely big differences in wedding trends and traditions between cultures. So we had to choose between going for an endless effort of trying to satisfy every single of them or find what every wedding anywhere in the world has in common and what couples actually need and implement it in wedjinni. We decided the latter and we think we did the right thing. We struggle to make our product perfect. We changed many things even after reaching an advanced development state simply becausewe didn’t like it. This happened a lot of times, until we managed to get to a satisfactory result. There is only one business personality thatwe know who had this obsession with details and perfection and this man was the late Apple founder, Steve Jobs. We have a really extensive list of additions for our next version. We are going to strengthen some partnerships with complimenting services and extend wedjinni more. We are going also to add the features our users require when they contact the jinni by rubbing “the lamp” in the application’s screens. This is a cool way for our users to say “hey, I ‘d love it if your next version had this”. Wedjinni can be accessed at http://www.wedjinni.com. Is your startup exhibiting at everywhereelse.co The Startup Conference? Why not?